iittala released this modern white and sand cased Aalto vase to celebrate the 70th anniversary of the remarkable Aalto vase. 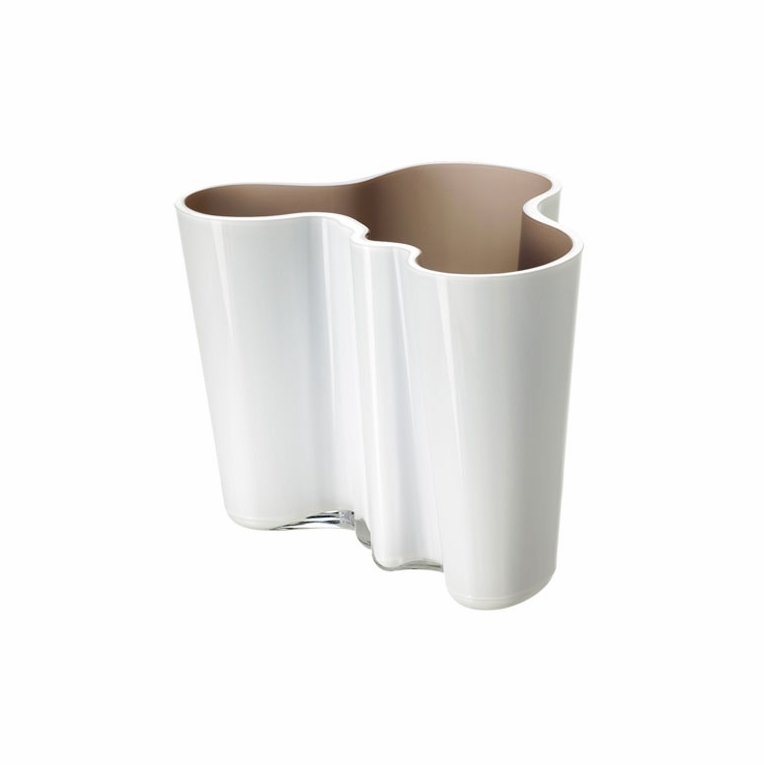 This modern glass vase brings out the inner and outer shapes of the Aalto vase in a very unique way. The outside of the vase is a white (opal) glass and inside is cased with a rich sand that gets even more glorious with light. These Finnish vases, from one of the most prominent designers of the 20th century, are a necessary addition to your modern Finnish design collection. To celebrate 70 years of the Aalto vase, iittala has also created special packaging for these dual colored vases. Each vase comes inside a commemorative 55% linen/45% cotton white pouch that closes at one end with a draw tie. This multi-purpose sleeve carries an elegant embroidered pattern of the vase's silhouette.